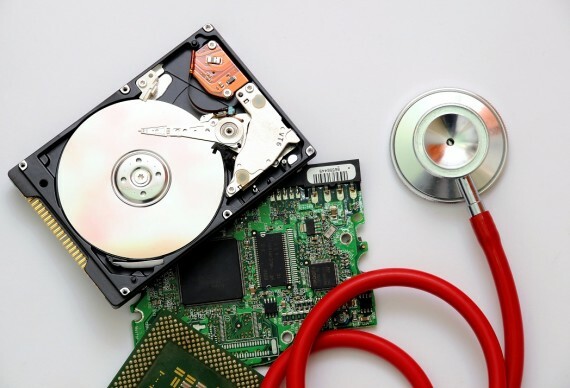 Our data recovery can help you access data from damaged or corrupted storage media on your computer, laptop, or storage and backup devices such as hard disk drives or RAID drives. Operating system failure is among the most common reasons for needing data recovery services. Data recovery is serious business and needs to be handled by a specialist, unless you want to risk further damage to your precious information. With our software tools and “data recovery laboratory” partners, you can be assured that we’ll treat your situation as importantly as if it had happened to our own business. Computer Troubleshooters provides prompt, professional and cost-effective data recovery services. We provide a comprehensive range of data recovery solutions to small business owners and private home users. Our hard drive recovery includes all computer, notebook and server makes. Whether you have a HP, Lenovo, IBM, Toshiba, Acer, Asus or any other brand; it makes no difference to us we cater for all types of hard drives and single / multiple RAID drives on all interfaces including: IDE, EIDE, SATA, SASA and SCSI. RAID Recovery – Our RAID recovery includes coverage of RAID controller failure, array configuration loss, multiple drive failures and accidental reformatting of drives. File and Email Recovery – We recover all types of files including: Outlook flies, Word, Excel, MYOB, Quick Books, ZIP and many more. Operating System Recovery – We are experienced in recovery on all operating systems (Windows, Linux, UNIX and MAC). Backup Recovery – We recover data on all types of tapes, cartridges, external hard drives and other backup formats. Database Recovery – Our database recovery includes SQL server, Sharepoint, Sybase, Oracle and more. Computer Troubleshooters data recovery services offers advanced data recovery solutions from our industry-leading partners with best practice guidelines developed by close to 500 Computer Troubleshooters experts worldwide. This allows us to provide you with the best and most cost effective solutions for all operating systems, models and brands. Call today to get speak to a data recovery expert.